Our new theme in the MakeShop is sewing. 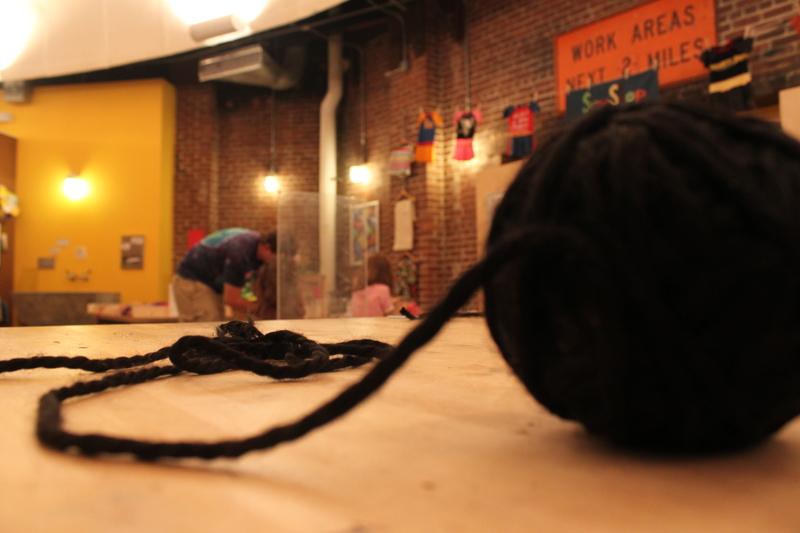 Visitors are able to learn about and explore with needles and thread. We have several stations that visitors can interact with. 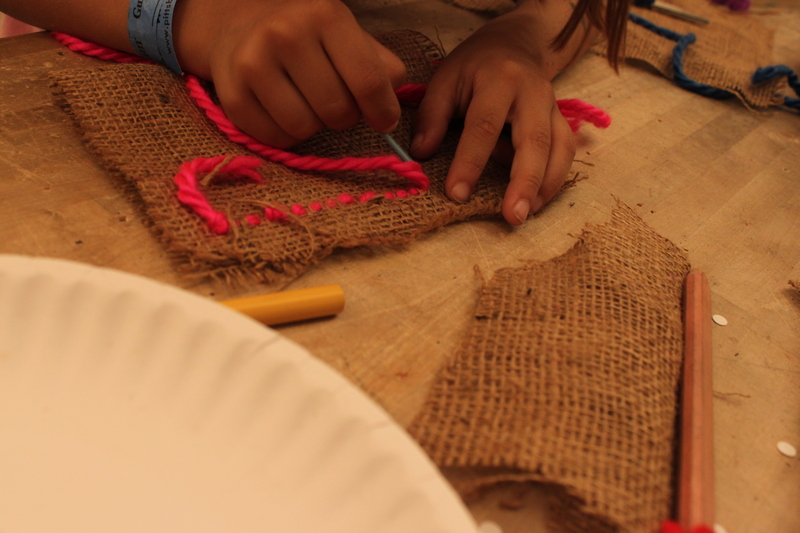 There’s an area where kids can simply learn to thread a needle and experiment with sewing through different fabrics. 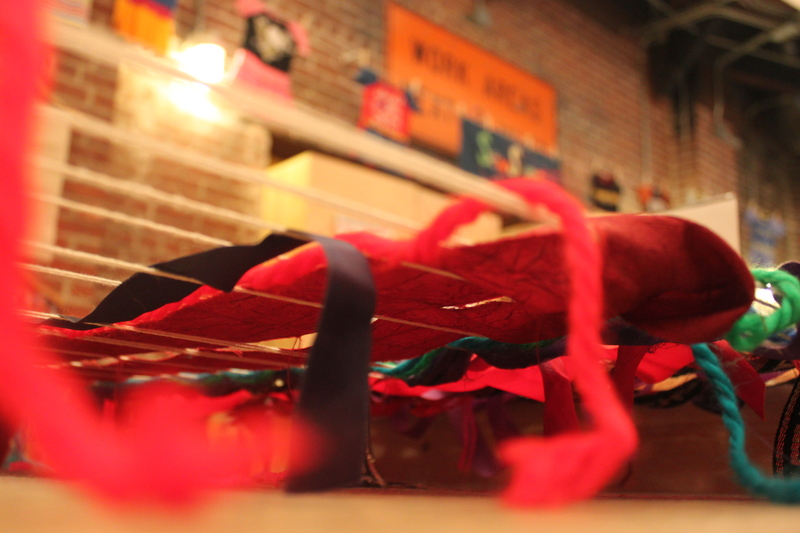 Missy and I assembled a large yet simple loom where visitors can practice weaving different kinds of materials. 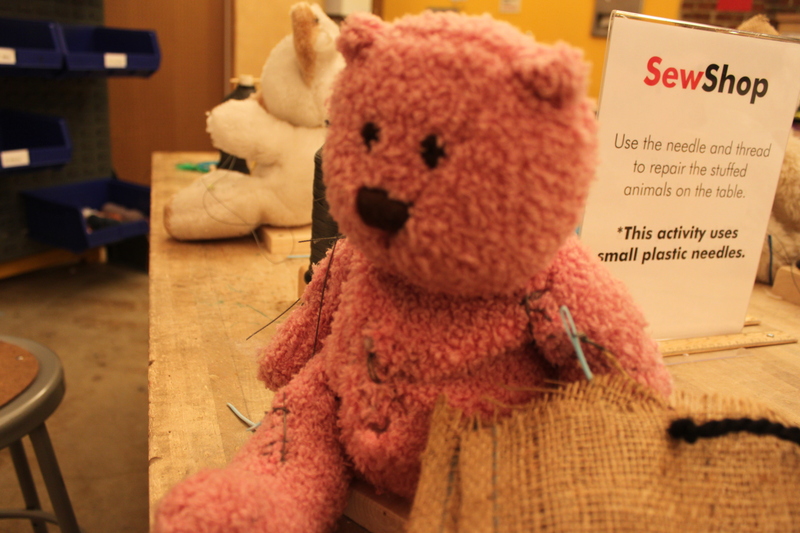 There is an operation table where visitors can help mend torn and broken stuffed animals. 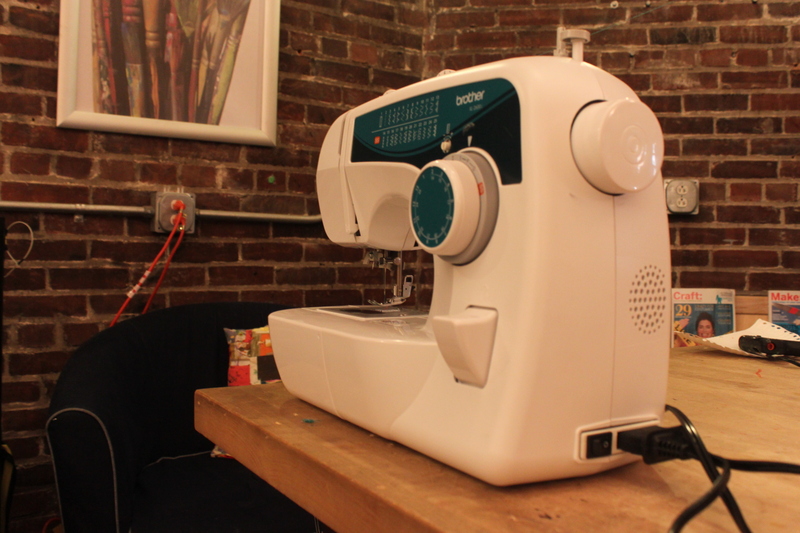 We also have sewing machines that the visitors are allowed to use under the supervision of our talented staff. I can honestly say that I probably need more practice on the sewing machines than anyone else. Basically, visitors and staff alike are getting curious about sewing; come join in the fun.